The US-China Music Institute of the Bard College Conservatory of Music, in collaboration with the Central Conservatory of Music, Beijing, announces the inaugural season of the China Now Music Festival, a series of orchestral concerts set to take place October 19–22 at The Richard B. Fisher Center for the Performing Arts at Bard College in Annandale-on-Hudson, New York, and at Lincoln Center's David Geffen Hall and Carnegie Hall's Stern Auditorium / Perelman Stage in New York City. The festival is dedicated to promoting an understanding and appreciation of classical music from contemporary China through an annual series of concerts and academic activities. Each year the China Now Music Festival will explore a significant theme, beginning in 2018 with Facing the Past, Looking to the Future: Chinese Composers in the 21st Century. The concerts will be performed by Bard College's The Orchestra Now, conducted by Jindong Cai, artistic director of the festival and director of the US-China Music Institute. Sosnoff Theater, Richard B. Fisher Center for the Performing Arts at Bard College, Bard College, Annandale-on-Hudson, NY. The opening concert of the festival, at Bard’s Fisher Center for the Performing Arts, features The Orchestra Now (TŌN), conducted by Jindong Cai, performing a world premiere of a new work by composer Chen Danbu from the Central Conservatory of Music, Beijing. The concert also includes the U.S. premiere of Chen Yi and Zhou Long’s Symphony ‘Humen 1839,’ and Ye Xiaogang’s My Faraway Nanjing for cello and orchestra. Pre-concert lecture at 7 p.m.
Tickets, $20-50, are available at the Fisher Center Box office, 845-758-7900 or fishercenter.bard.edu. Saturday, October 20, 12–2 p.m.
China Institute, 100 Washington Street, New York. Temporary entrance: 40 Rector Street, 2nd floor, New York, NY. In collaboration with the China Institute, the panel will include composers Ye Xiaogang, Zhou Long, Chen Yi, and Tony Fok, writer Su Wei, and festival Artistic Director Jindong Cai. Light lunch will be served. Admission is free with purchase of a ticket to any China Now Music Festival concert. Reservations required. Contact Aaron Nicholson at 212-744-8181 ext. 138 or visit https://www.chinainstitute.org/event/facing-history-musical-reflections-opium-war/. This event is focused on how Chinese composers have looked into the past. The Orchestra Now (TŌN), conducted by Jindong Cai, confronts three wrenching events in modern Chinese history: the first Opium War of 1839–42, the Nanjing Massacre of 1937, and what is now known as the “sent-down youth” movement during the Cultural Revolution of 1966–76. The concert begins with the symphony Symphony ‘Humen 1839’ by Chen Yi and Zhou Long. The work is a musical portrait of the heroic effort to confiscate and burn imported opium. Ye Xiaogang’s My Faraway Nanjing for cello and orchestra is dedicated to the 300,000 civilian victims killed in the Japanese invasion of Nanjing during World War II. Composer Tony Fok and writer Su Wei both lived through the chaotic period of the Cultural Revolution. 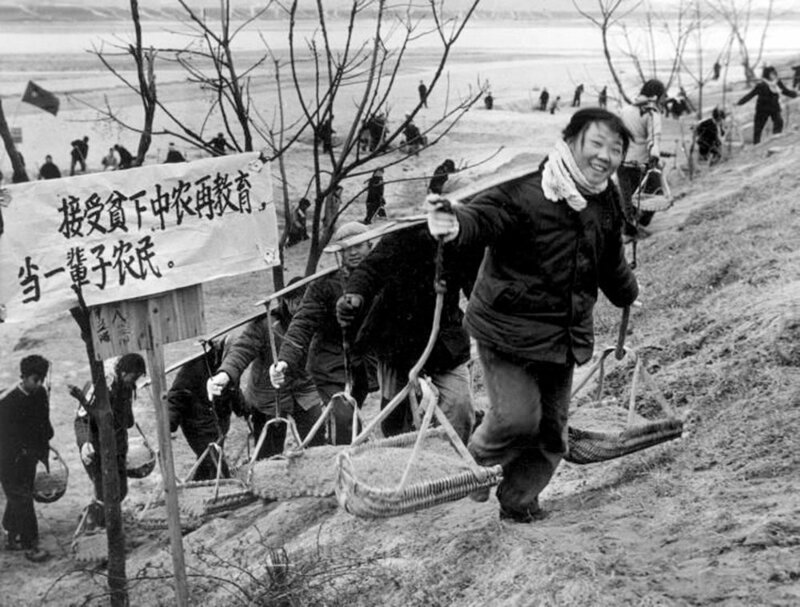 They were among the more than 17 million urban Chinese youths sent down to the countryside to labor alongside farmers. This experience inspired their oratorio/cantata Ask the sky and the earth, featuring a chorus of over 200 members from around the U.S., some of whom were also among the “sent down youth.” This year marks the 50th anniversary of the movement. The Orchestra Now (TŌN), conducted by Jindong Cai, and by Chen Lin from the Central Conservatory of Music, looks to the future with an exciting program consisting entirely of world-premiere compositions by the distinguished composition faculty of the Central Conservatory of Music in Beijing. The Central Conservatory is the cradle of 21st-century Chinese composers. The festival will showcase six new compositions: Guo Wenjing’s Zang; Qing Wenchen’s The Light of the Deities; Chen Xinruo’s Yun Shao; Jia Guoping’s The Landscape of the Northern Country; Tang Jianping’s Realmorphism; and Chang Ping’s Singularity. Please contact CenterCharge at 212-721-6500 or use promo code GROUP20. Contact Group Sales directly at groupsales@carnegiehall.org or call 212-903-9705 to reserve tickets.